Dr. Li received his B.S. in Physics from Wuhan University in 2001, and his Ph.D. in Physics from Texas A&M University in 2010. Before joining the faculty at FIU in 2013, he worked as a Research Associate at JILA, a joint institute of the National Institute of Standards and Technology (NIST) and the University of Colorado at Boulder. 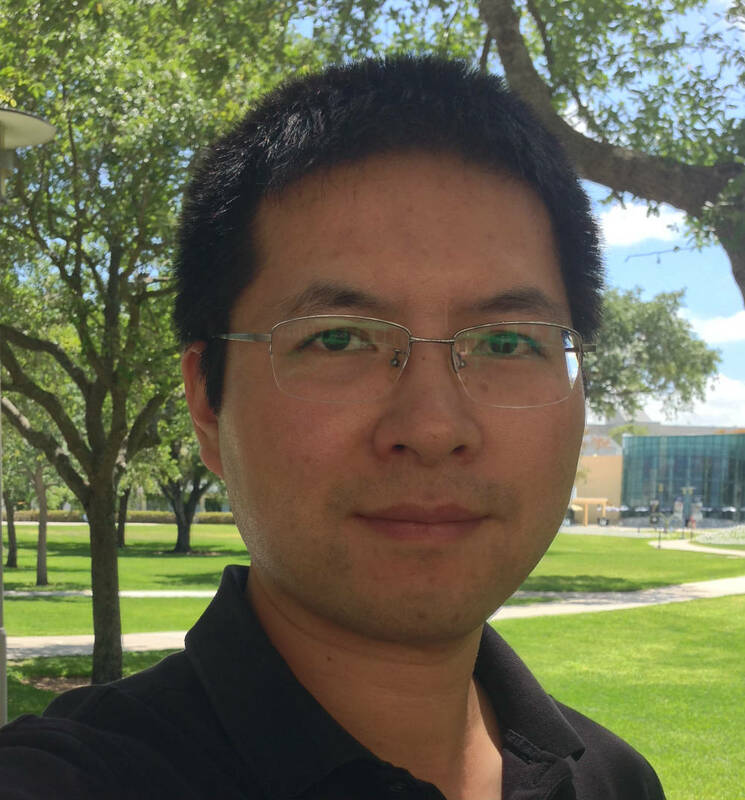 Dr. Li’s research interests focus on the study of the interaction of light with matter by using cutting-edge optical tools. He is interested in many-body quantum systems consisting of interacting atoms, molecules and electrons. Examples include dense atomic vapors, semiconductor nanostructures and atom-like solid state systems. His group develops and utilizes techniques and ideas in ultrafast spectroscopy and quantum optics, such as multidimensional coherent spectroscopy and quantum entanglement, to probe and manipulate quantum dynamics of such systems. The group explores fundamental physics associated with these problems and facilitates unique applications in fields such as quantum information processing, solar energy conversion, optoelectronics, metrology, imaging, sensing and biomedical science.